There’s something satisfying about a well-planned network of tip-ups set across the white expanse of a frozen lake. Strategically placed fish “trap-lines,” each rigged with a big frisky baitfish, attract and literally snare freshwater predators like nothing else under ice. Get a bunch of dudes together, stack some “traps” into 5-gallon pails, and saturate the ice with baited flags. When that first signal rises high above the icy horizon, heart rates soar as the rugged race ensues. 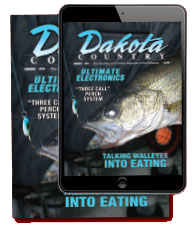 The winner earns the right to set the hook and proudly hoist a hefty pike, walleye or any other freshwater prize that bites. The smartest tip-up parties bait rigs on spacious open flats or along lengthy sections of a drop-off -- places where fish consistently search for food. With six or more buds along, each empowered to run 2 or more lines apiece, you can put live bait in front of a lot of toothy grins. That’s trap-line fishing on ice in a nutshell, and it’s devastatingly effective. On a long point or drop-off, a wise strategy places one group of anglers at each end of the trap-line, with additional fishermen spaced evenly between. If you’re going in cold turkey, searching a big area for the first time, perhaps you set one tip-up every 50 to 100 paces. Park a pickup truck or snowmobile every so often along your routes to serve as mobile base camps. Setting out on foot, groups of trap-line anglers work best in pairs. First run through, one dude drills, while the other follows with a sonar, dipping the transducer in each new hole. Sonar guy keeps driller guy on target with depth, as he also checks for fish with a portable unit. At the end of a bait set run, each fisherman grabs a bucket. If one of your buddies happens to be a tip-up pro the likes of Captain Pat Kalmerton, you’re in for a good day. 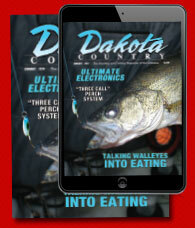 “When we’re tip-up fishing for pike or walleyes,” says the ace ice guide, “we use a systematic approach. First, you’ve absolutely got to have good gear, and you’ve got to have a solid plan. For my guides and I, nothing works better than the bucket system. “We can take a single Frabill bucket and fill it with at least six round Pro-Thermal tip-ups. The other bucket gets used to house our tip-up ‘soldiers’ -- smelt, big minnows, big shiners or chubs. We want bait that really kicks -- critters that swim in huge arcs below the ice, pulling in predators like a Lab working a field for pheasants. Beyond robust bait, which drives his tip-up system, Kalmerton has recently taken his tip-up system to new heights. “’If it ain’t broke, don’t monkey with it,’” quips the Great Lakes captain. “Whoever penned this credo must have been referring to ice fishing. The sport’s the ultimate testing grounds for gear. It’s why I’ve relied on the same classic tip-ups for years. The contraptions perform a simple task -- presenting bait and indicating strikes -- and they do it reliably, day after day, winter after winter. Modern-day tip-ups are much more efficient than their counterparts of past years. These inventions are thorough, easy to use and store, and offer extra features like line counters, and durable flag and reel accessories. Adding another layer of fun and efficiency, Kalmerton occasionally mounts a miniature underwater camera like an Aqua-Vu Micro 5 to his tip-up, providing a real-life view of what’s happening with his bait and any fish in the neighborhood. Whether your team’s tip-up program matches Kalmerton’s techno heights or remains a simpler affair, it’s always a race on ice to reach the flag first. Most of the time, especially with larger pike and walleyes, it isn’t necessary to let fish run for long. Rigged right, quick hook-sets tag more fish, and certainly harm far fewer of them.